All aspects of divorce, including financial (ancillary) and child arrangements. All areas involving children such as contact with parents and living arrangements. Co habitation agreements - a significantly increasing area of work which protects the financial security of those choosing to co habit. 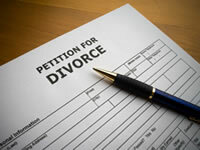 Separation agreements for those who are not ready to divorce but wish to protect their assets. Consent orders for those who have applied for divorce and but represent themselves. We are able to provide a fixed fee for standard divorces where the division of assets and, if appropriate, child arrangements have been agreed.